Thanks to Strangeblades on Gamers with Jobs for this tip! Apparently over on the Arcen Games News blog, they’ve surprised everyone with the announcement of a new expansion for AI War. 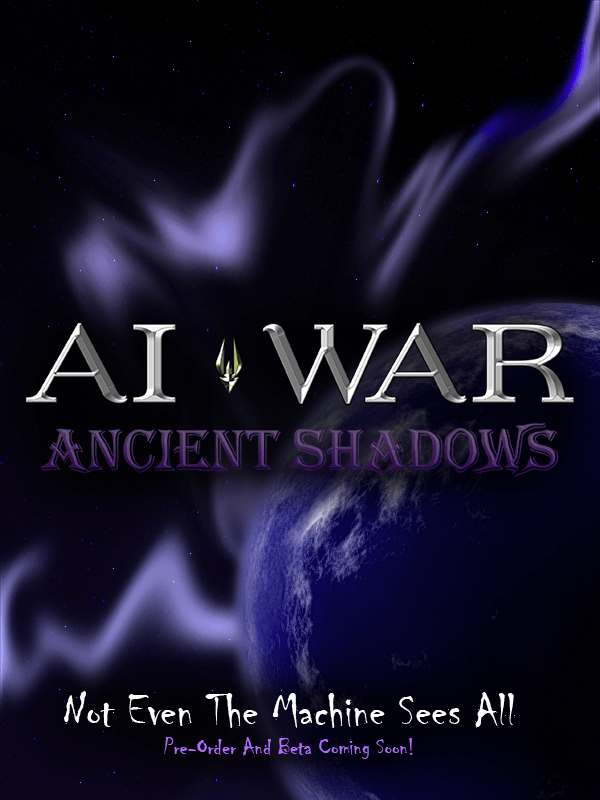 Entitled Ancient Shadows, according to the small Q&A on the blog post, this $4.99 expansion to be released in October will focus on the existing alien races and humans in the game, as well as some improvements/refinements for the base game. I’ve not really taken the time to dive into AI War, but this would be a perfect excuse. ;) I’ll bring you more as I get it. Well that’s spooky! I was going to respond to your previous post about pricing by mentioning AI War and the entirely reasonable prices Arcen charge for their add-ons. I’ve barely played AI War past the base game and yet I buy every single expansion because it’s a no-brainer to do so on point of price. Yup, good call, their add-ons, and heck the game itself, are very reasonably priced. Hell the new expansion will be $4.99.